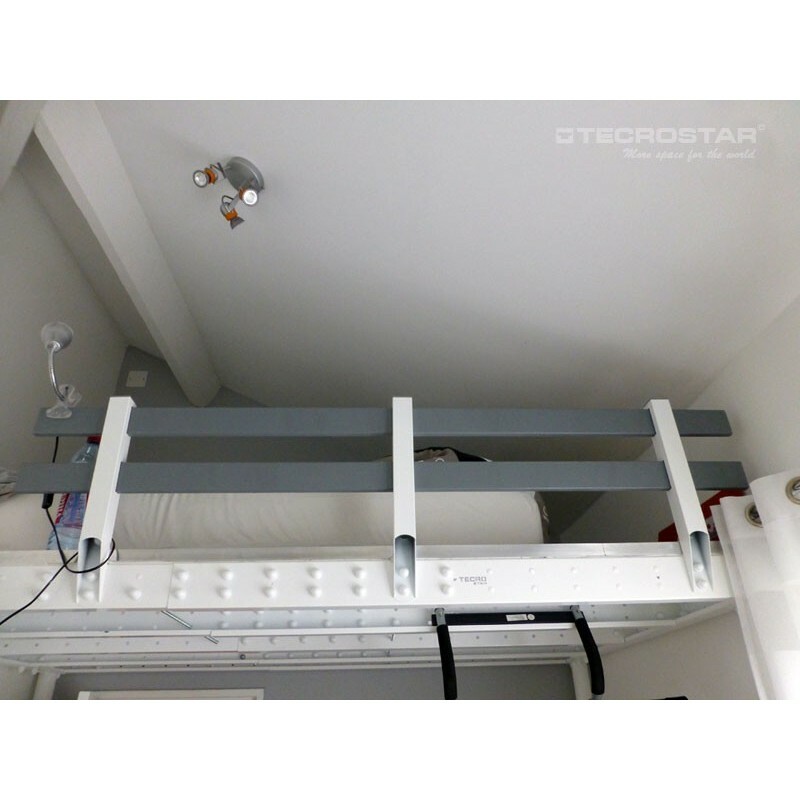 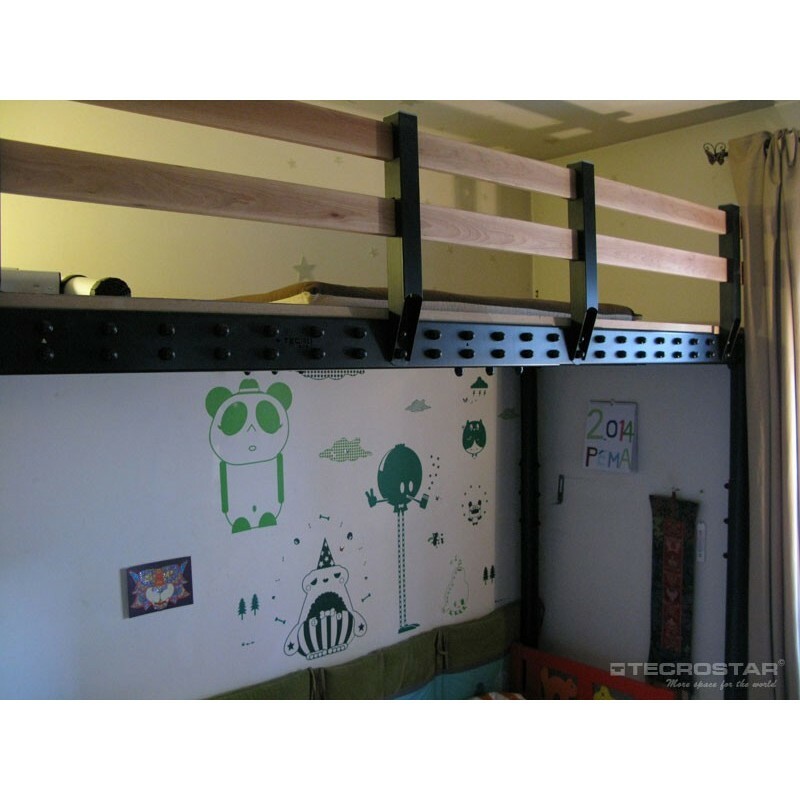 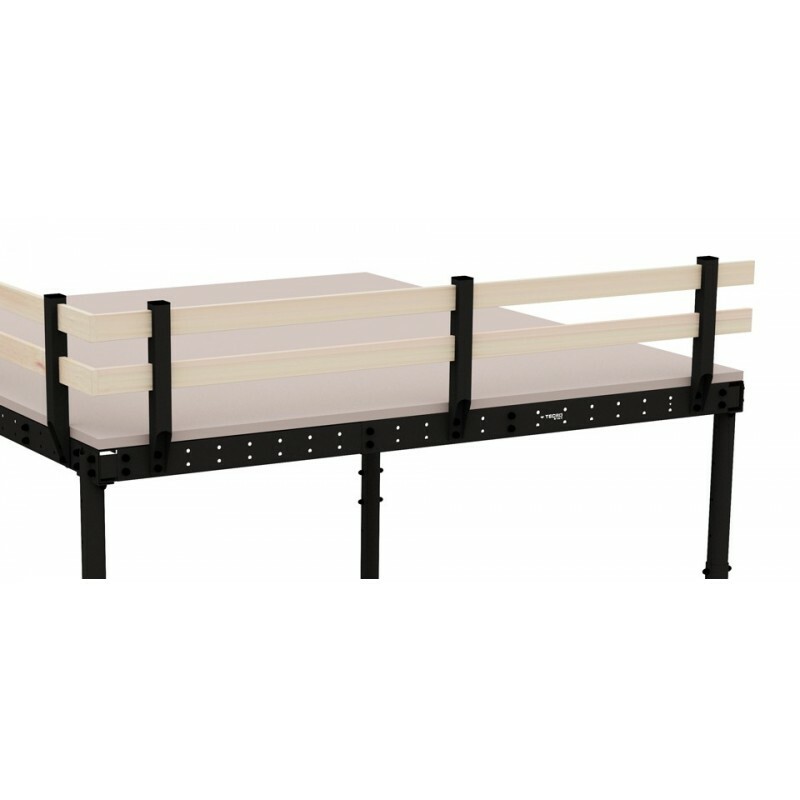 The Loft Bed Railing is 2m long and 37cm high. 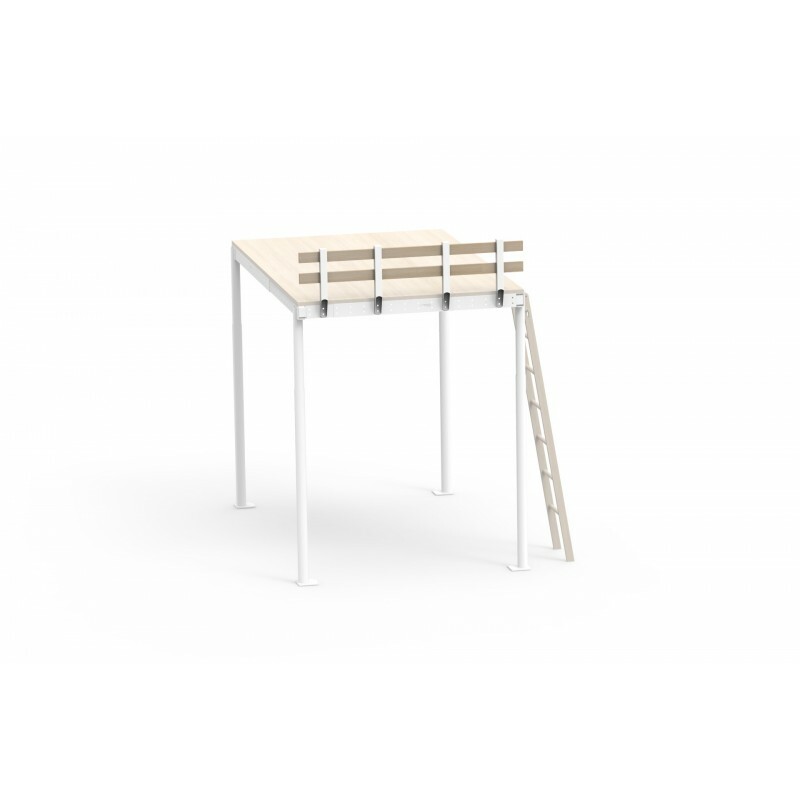 It consists of metallic posts and two wooden security barriers.It can be installed in any Tecrostar mezzanine of S range. 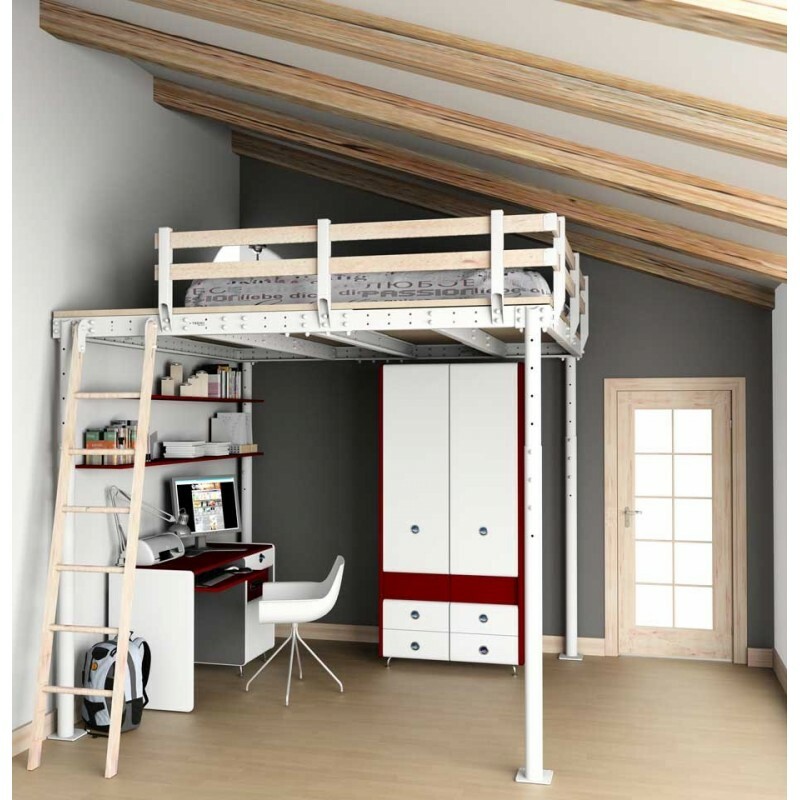 Material and finish of the handrails Premium beech wood with natural finishing.